Jeff leads the Oncology and Virology Practices at Defined Health. Jeff has extensive commercial and strategic perspective on the pharmaceutical and biotech industries. He has directed hundreds of in-depth licensing opportunity and valuation assessments during his tenure at DH. He often speaks at conferences on scientific and commercial issues in cancer, especially immuno-oncology. Dr Laura Brown is Course Director of the MSc in Clinical Research, University of Cardiff and a Training and QA Consultant. Dr Brown has held a number of international and senior management positions in the pharmaceutical industry. She has worked for several international companies including GlaxoWellcome, Hoechst Marion Roussel and Phoenix International. She was a member of the Editorial board of the Good Clinical Practice Journal for 10 years. She is author of several books including Project Management for the Pharmaceutical Industry, a Practical Guide to the Clinical Trial Directive and several articles on the new EU Clinical Trial Regulation. With more than 20 years of experience in the clinical trials industry, Joan is a health science executive who brings a unique blend of strategy, leadership and competitive intelligence skills to SCORR’s clients. She designs and executes collaborative solutions that drive brand awareness and improve market share and profitability. As a published author and presenter at many industry conferences, Joan synthesizes her understanding of critical issues and business challenges into viable client solutions. She advises on thought leadership opportunities that maximize SCORR’s clients’ visibility and impact. Prior to joining SCORR, Joan was the chief operating officer at CenterWatch, where she set the strategic direction and financial goals for the organization and managed all departments. Her career also included roles at Cambridge Healthtech Institute, the Tufts Center for the Study of Drug Development and PAREXEL. Denis Curtin, Ph.D., co-founder and Chief Scientific Officer for mProve Health, a technology company specializing in digital solutions for clinical research and commercial healthcare. mProve Health is the global leader in innovative mobile solutions for clinical trials and consumer disease management. Experience includes: twenty years of pharmaceutical industry roles in drug and vaccine development and commercial brand management, brand creation and development, market analysis, product lifecycle and franchise strategic planning, and clinical trial design and management. Ms. Halloran is the President of Halloran Consulting Group (HCG), founded in 1998 with the vision of Life Science Product Development that Works; Product, Process and People. With over 30 years in senior clinical affairs management and process optimization, including both biopharma (Oxigene and Antigenics), and CROs (PAREXEL), Ms Halloran has become recognized as an industry expert. In 2015, Laurie was honored by the Boston Business Journal as a Woman of Influence, and the company has received a ranking in the INC 500 fastest growing companies for the past 2 years. 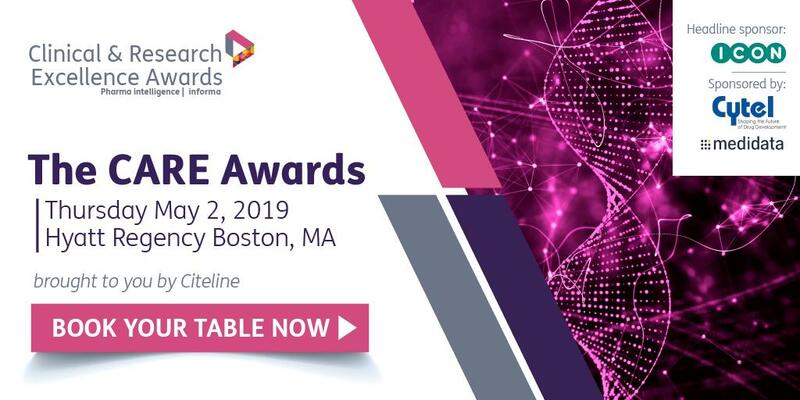 In 2010, Laurie was selected as one of the 100 Most Inspiring People in Life Science by PharmaVoice and in 2009, she was awarded Clinical Researcher of the Year by ACRP’s New England Chapter. Dr. Howard is Principal and Founder of Cambridge BioStrategies, LLC, a corporate and business development practice supporting biomedical companies at the interface of science, strategy and valuation. She has over 25 years of experience in medical research, technology assessment and appraisal, and provides an in-depth understanding of the treatment landscape - including the molecular & cellular mode of action of therapies and translational research insights. Combined with competitive, commercial, regulatory and pharmacoeconomic considerations, this informs her counsel on corporate strategy, product positioning, development and commercialization. Dr. Howard advises on early and late stage clinical trial designs across a wide range of therapeutic categories. Her clients include North American and European private and public biotech and pharmaceutical companies as well as venture capital firms. She has been a mentor and reviewer for emerging technologies and companies for the Massachusetts Biotechnology Council (MBC) and has served on the Board of the Hypersomnia Foundation and the NTSAD patient advocacy group as well as on advisory boards of GSK, Shire and others. Cliff Kalb is President of C. Kalb & Associates, LLC, a pharma consultancy in intelligence and strategy. He has served for over four decades in a broad variety of senior level functions the industry. Cliff was Senior Vice President with Wood Mackenzie, where he provided thought leadership on life science industry issues and directed their knowledge based research and consulting practice. Previously, he served as Senior Director, Strategic Business Analysis at Merck, heading their global intelligence function. Earlier in his career he worked for Marion, Pfizer, and Roche in sales, market analysis, health economics, public policy, marketing, licensing, business intelligence and business development building experience across virtually all therapeutic categories. He also headed commercial development for a biotechnology firm affiliated with J&J. Janice Marie McCourt, RPh, MBA has 20+ years of experience leading pharma and biotech companies in the United States and internationally, working across the R&D-to-commercial continuum. Janice has the unique ability to combine cutting-edge science with business acumen having raised over $3 billion in global value-creating licensing, acquisition, and partnership deals with top tier pharmaceutical and biotechnology partners. Janice led the strategic and tactical diversification of Agenus from a vaccines-focused company directly into the antibody check point modulation space with the acquisition of 4-Antibody, thereby establishing the company as a leader in immuno-oncology. She enabled Praecis, Amakem Therapeutics, and ActivBiotics to raise over $415M in Series A, B, IPO and secondary financings to position those companies for clinical and commercial success. (Praecis was a top 10 IPO on Wall Street). She has led over 100 product launches for major brands in immuno-oncology, CNS, immunology, inflammation, women’s health, neurology, respiratory, ophthalmology, infectious disease, vaccines, pain and numerous therapeutic areas. She has repeatedly demonstrated how to combine innovative scientific vision with sound business strategy. Since 2012 Dr Alison Messom has been Chairman of the Institute of Clinical Research; the oldest independent membership lead professional body for global clinical researchers. With a background in molecular Genetics, Dr Messom has almost 20 years industry experience working both within Pharmaceutical Companies and Clinical Research Organisations. Dr Messom has detailed experience of directing global clinical trials and has worked in a wide variety of leadership roles, within Pharma Companies & CROs for not only project and monitoring teams, but also Data Management, Outsourcing, Informatics and Translational Medicine Departments. Most recently she has provided consultancy support to an academic group working on a translational medicine project and operational consultancy to a mid-sized pharma company working in phase III & IV. Chad Rubin is a Managing Director for the Trout Group and Trout Capital. Trout is the leading investor relations and capital markets advisory firm dedicated to the life science industry. Chad has over 16 years of experience advising management teams in the sector. Prior to joining Trout’s team in 2005 Chad was the head of Biotechnology Capital Markets Intelligence Group at Thomson Financial, assisting over 100 life sciences companies in their understanding of Wall Street. He brings with him experience in advising life science companies on topics including company creation, seed funding, shareholder targeting, capital markets transactions, message crafting and scenario analysis. His experience includes work in finance, consulting and market analysis. He has been involved with companies from the pre-IPO stages to follow-on and convertible offerings. He is involved in capital transactions with corporate clients and has counseled clients on domestic and cross-border transactions and binary data events. Chad holds a Bachelor of Arts degree in business administration with a concentration in finance from Franklin & Marshall College. He has a minor in film and media studies. He also holds Series 7, 79 and 63 securities licenses. Chad, who now sits on the Board of Trustees for the Histiocytosis Association, began volunteering with the HA in 2008 after his son, Jack, was diagnosed with Langerhans cell histiocytosis and secondary HLH. Jack and Chad’s wife, Kristy, lived at Children’s Hospital of Philadelphia for over 19 months fighting the diseases. Jack was cured with a bone marrow transplant and is a healthy boy today! Histiocytosis Association provided Chad with support, information and resources to help his family fight and beat the horrible disease. Chad and Kristy founded the annual fundraiser “All Jacked Up” in 2009. Together with friends and family they have raised over $800,000 to help find a cure.